Since its introduction in 1986, few vehicles have inspired the kind of respect as the BMW M3 has, which epitomizes all that there is to love and obsess over about the Bavarian brand. Entering its fourth generation, the iconic sports car saw a number of changes for 2008, including a first-ever V-8. The outgoing M3 was propelled by an inline six-cylinder engine, but the use of an all-aluminum 4.0-liter V-8 has increased power while not impacting the vehicle’s ride or handling. The M3 also received updated styling with a more aggressive front fascia, wider rear haunches and a more pronounced hood to compliment the raw power behind the headlights. In fact, only the doors, the trunk lid and the lights have been carried over from the standard 3-Series. Delivering driving nirvana on every level has been the M3’s mantra since its inception, and the fourth generation refuses to rest on its quite prestigious laurels. It’s a pure sports car wrapped in a luxury package that does its heritage right. What’s not to love about a rev-happy V-8? The power is instantaneous, the sound is addictive and its looks are beyond lust-worthy. The interior delivers comfortable yet utilitarian luxury, while promising jet-like propulsion. The M3’s gas mileage is dismal, even for a sports car with this much power. 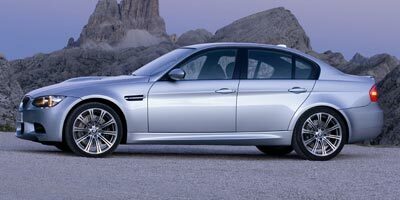 The M3’s price tag comes in over $56,000 stock, no matter what body style you choose. The coupe’s back seat is minuscule. Did we mention iDrive? Also, would it kill the boys in Munich to give us Americans a real cup holder? The beautiful thing about the M3 is that it is just as happy blasting down the freeway as it is decimating the ribbons of asphalt that trace mountain ridges. The suspension is super stiff, yet comfortable, and the interior is just as suitable for a four-hour trip as a four-minute lap time. The front-engine, rear-wheel drive layout is a true sports car design and the six-speed manual transmission is the perfect precision instrument for dissecting corners. While we wouldn’t want to suffer through the coupe’s back seat for any long period of time, the M3 sedan offers up plenty of passenger room with space for folks over six-feet tall in the back. All M3’s are powered by the same all-aluminum 4.0-liter V-8 engine producing 414 horsepower and 295 lb-ft of torque. The engine uses a slew of technological accessories to produce the absolute most power possible, including eight throttle bodies (one per cylinder). A six-speed manual transmission puts power to the rear wheels and BMWs new dual-clutch transmission debuts this fall. The M3 is available with a number of specialty packages, including a premium package for $2,000 that includes a digital compass mirror, brushed aluminum trim, a universal garage door opener and leather. Some of the more interesting features on the car include a hood with functional air intake ducts and a variable limited slip differential to improve traction in poor weather. A must check is the $1,200 19-inch wheels and performance tires, a steal at $400 a shoe. The carbon fiber roof on the coupe is pretty darn cool, too. A technology package is an option on the M3 for $3,250, and it features BMW’s M-Drive, a navigation system and electronic suspension dampening control. Entertainment features include a premium sound system, HD radio, an iPod adapter and satellite radio. If you want to track the car, you won’t need the added weight. As expected, the M3’s sizeable power plant delivers lack-luster gas mileage. Each body style delivers 14 mpg city and 20 mpg highway, but try getting that in the gas pedal-happy real world. The M3 rates a surprising LEV-II. This BMW’s interior is a pleasure to experience. The seats are comfortable with plenty of back, leg and lumbar support. The materials are top notch. We like the fact that the interior, in fact the whole car, has nothing superfluous in its design, it comes across as a pure expression of spirited driving. The M3 demands attention wherever it goes. While these cars have always carried an aggressive air, the new design demonstrates power by design. Every detail manages to illustrate finesse, from the “power domeâ€ hood with functional intake to low-leaning body line down the side of the vehicle to its exaggerated rear fenders. In Silverstone Metallic paint, it comes across as if carved from a block of German ice. For every one king of the hill, there are ten competitors waiting to depose him. At $56,500 for the coupe, $53,800 for the sedan and $64,950 for the convertible, the M3 is the mark by which other manufacturers are gauged. Common competitors include the Porsche Cayman at $49,400, the Chevrolet Corvette at $46,950, the new-for-2008 Lexus IS-F at $56,000 and most of all, the $50,050 Audi S5. The M3 is purebred performance warrior and comes across as so in even the smallest of details. The suspension and brakes perfectly compliment the impressive power produced by the V-8 under the hood and the minimalist interior is comfortably functional, yet luxurious. While the $53,000-plus price tag is probably too hefty for most buyers out there, the price is a steal for what you get – dominance on the track and a sporty ride on the street. We think the M3 is as a close to a perfect iteration of the model possible, a Platonic ideal of what an everyday sports car should be. Put on Der Ring des Nibelungen, drop it into first and eat up the highway miles for lunch.